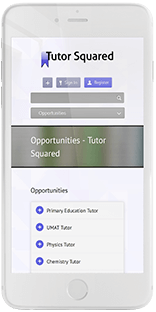 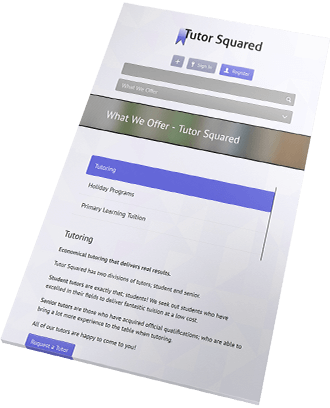 Tutor Squared are a young business that provide tutoring to students in South Australia. 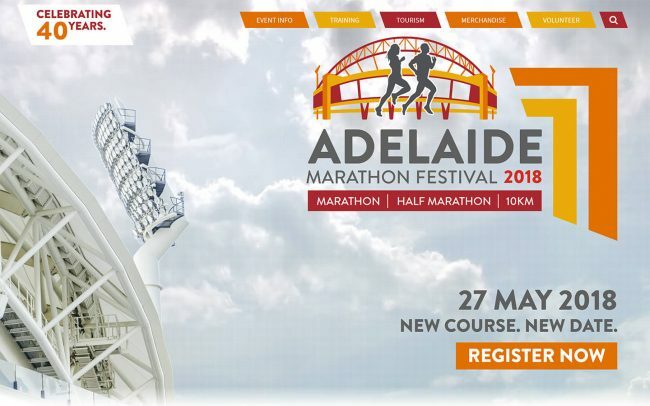 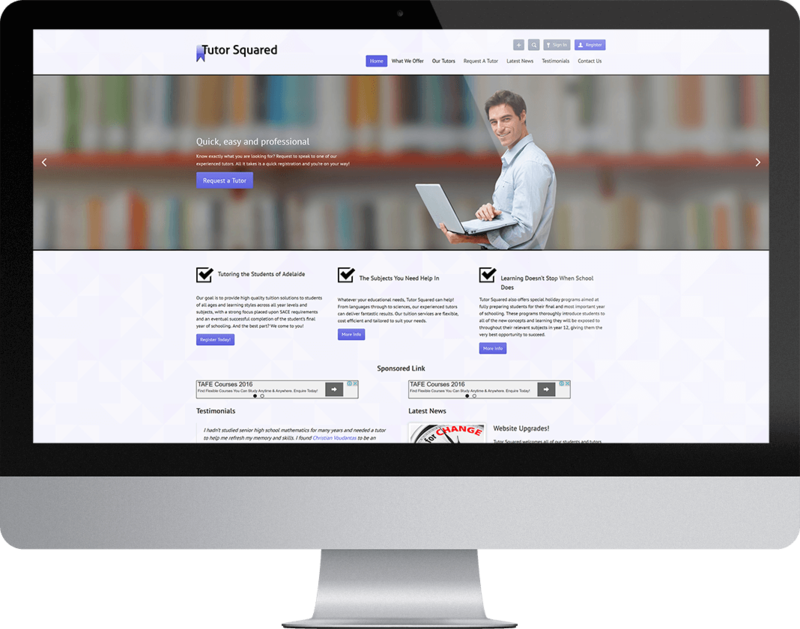 In early 2014 they commissioned us to build a standard brochure website. 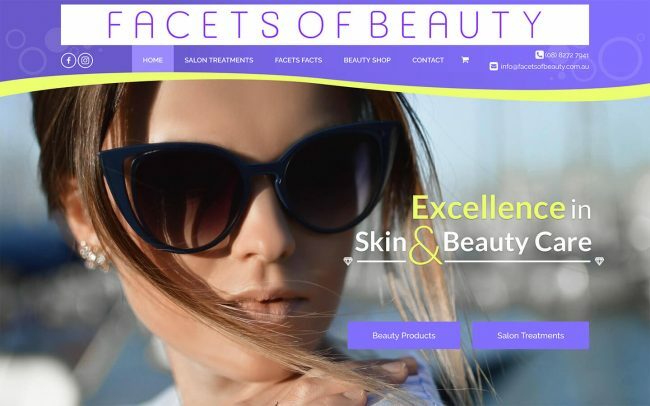 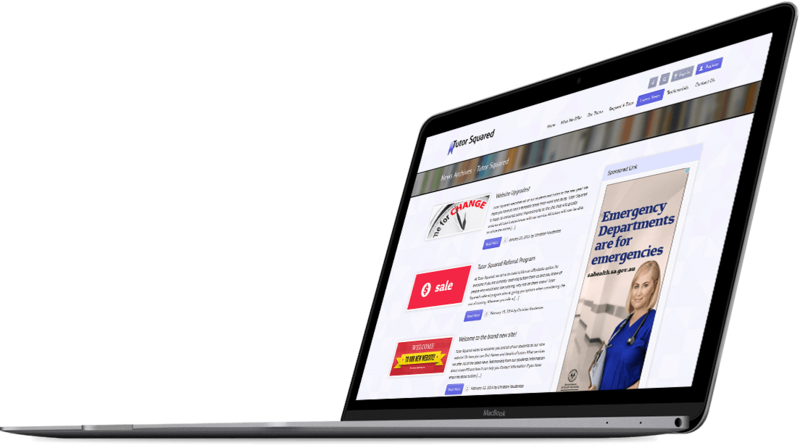 The site is a standard brochure site with some extra functionality in the form of Facebook integration, Google Adwords and news blog. 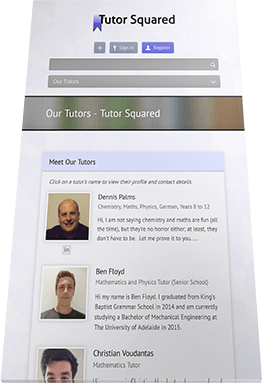 The site is also responsive for mobile browsers. 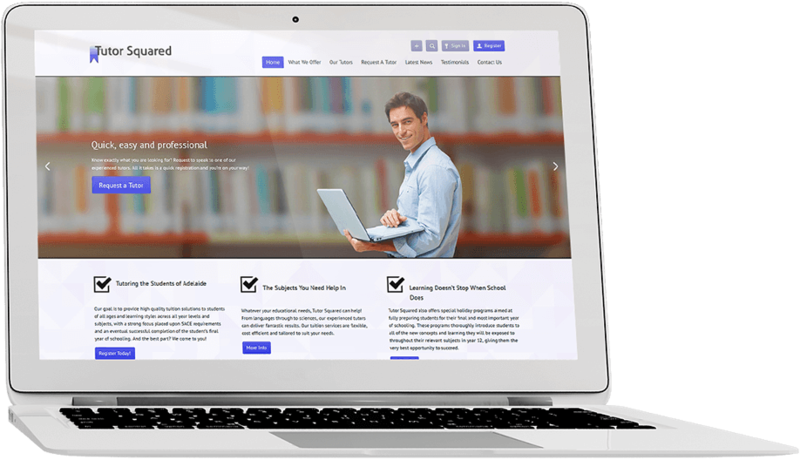 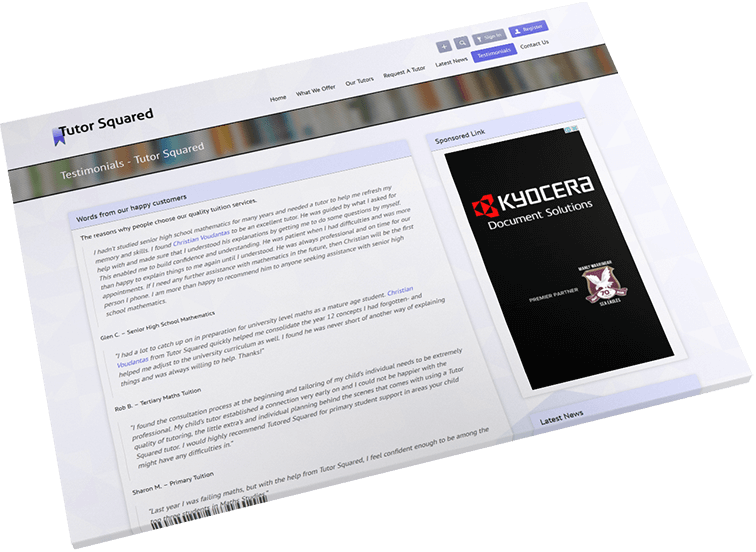 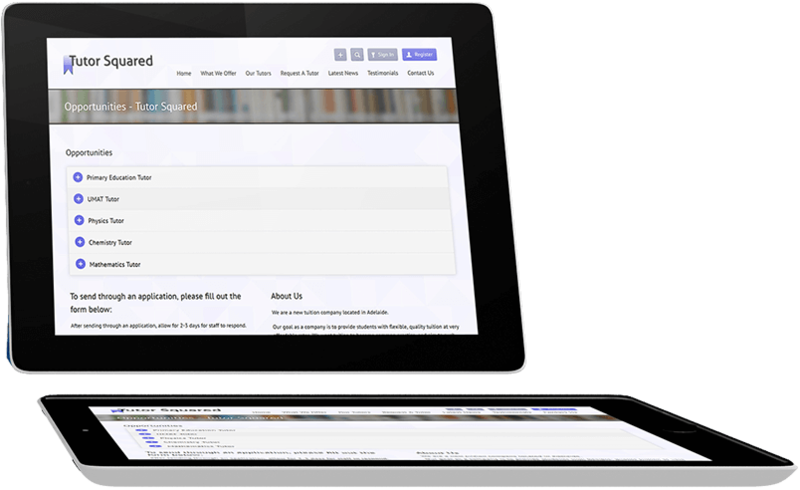 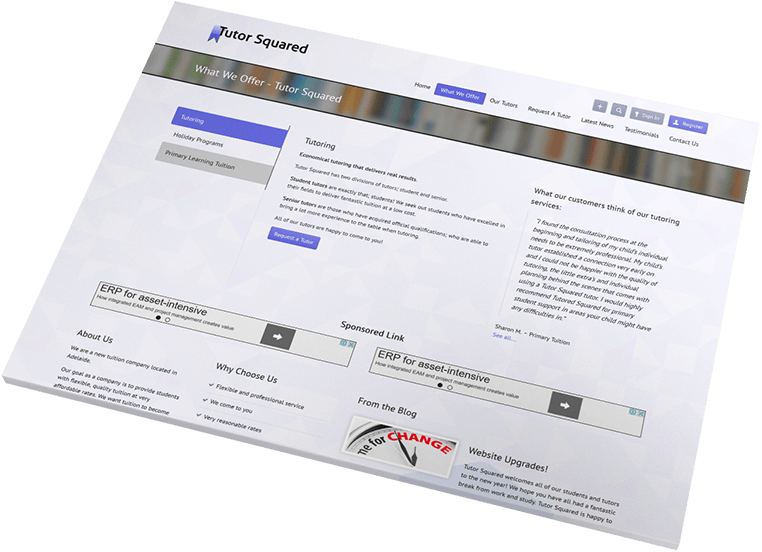 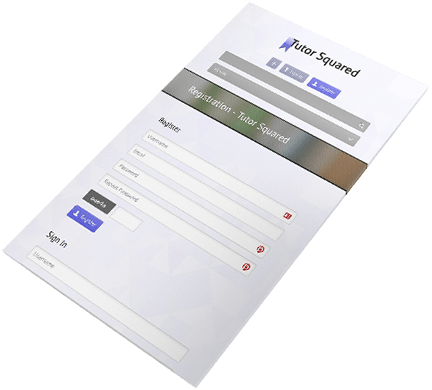 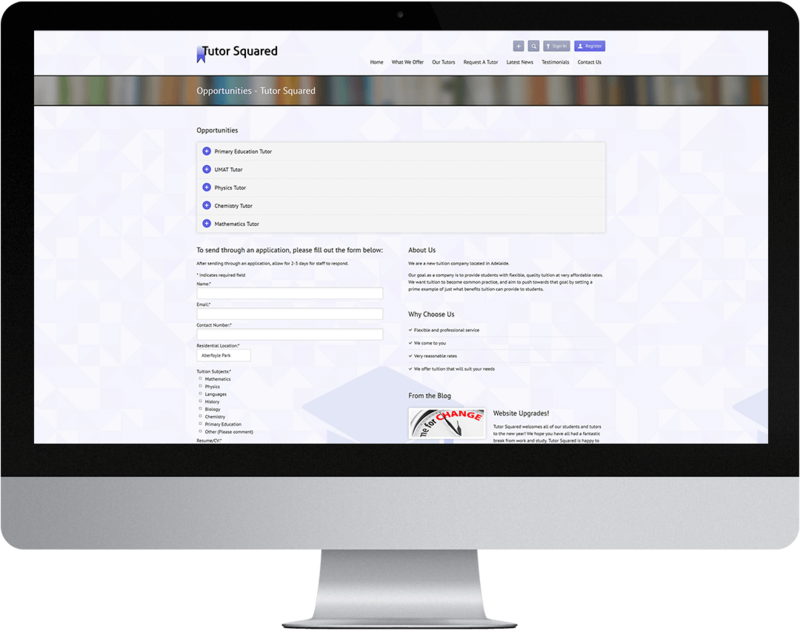 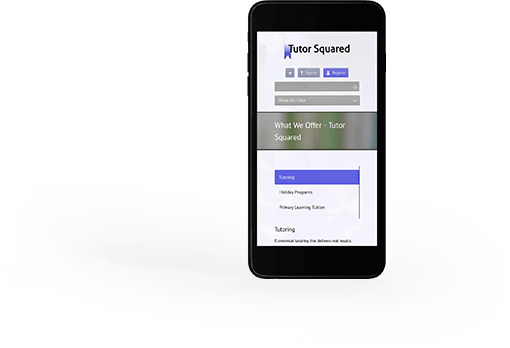 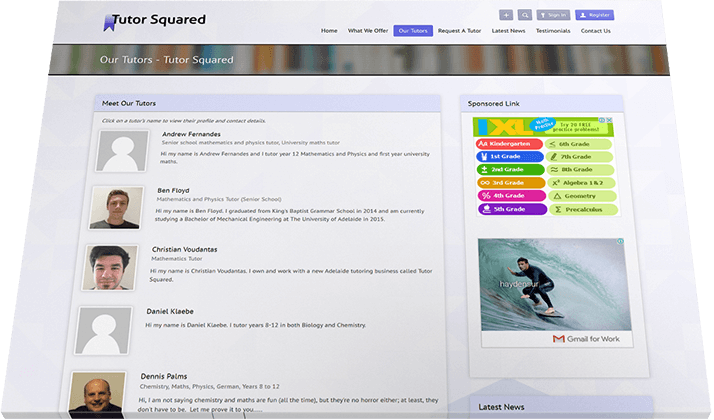 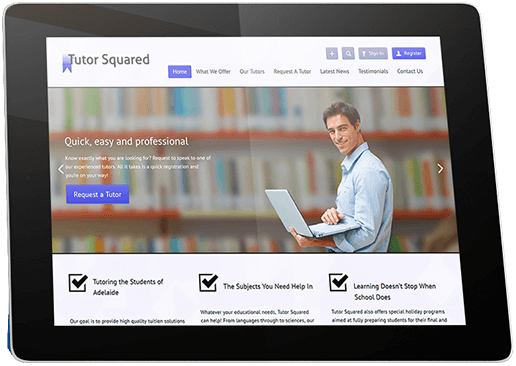 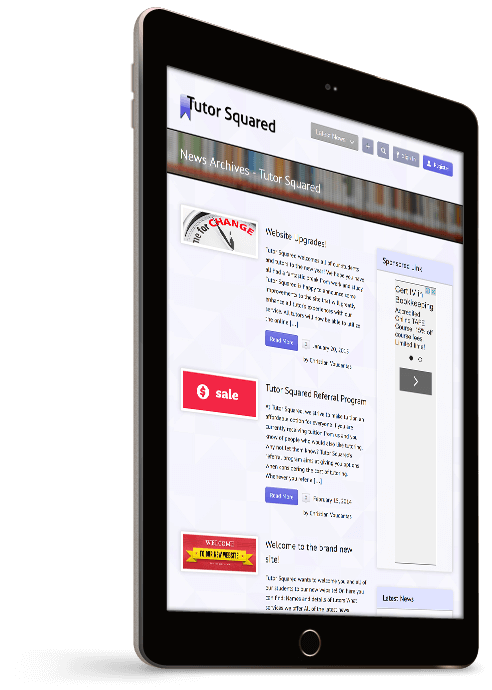 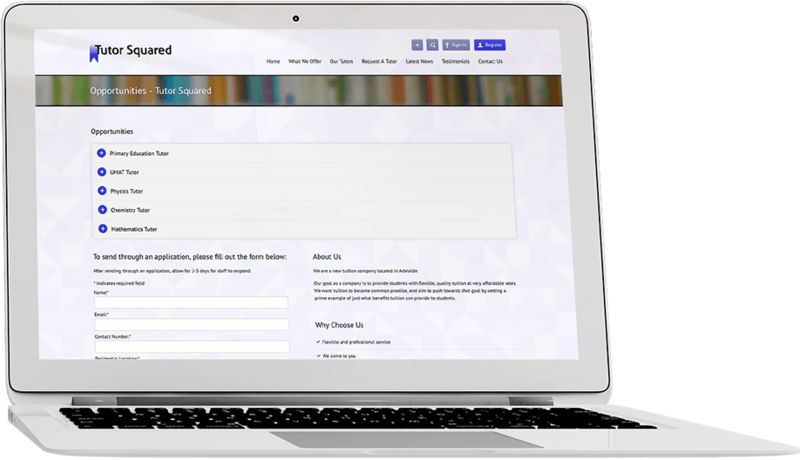 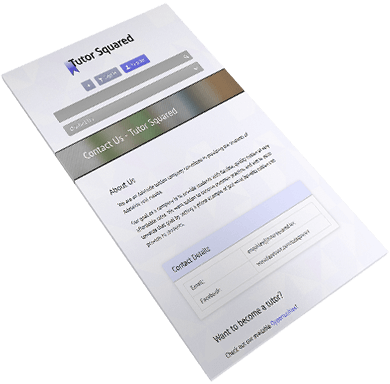 Recently Tutor Squared began develop extra features for the website internally. 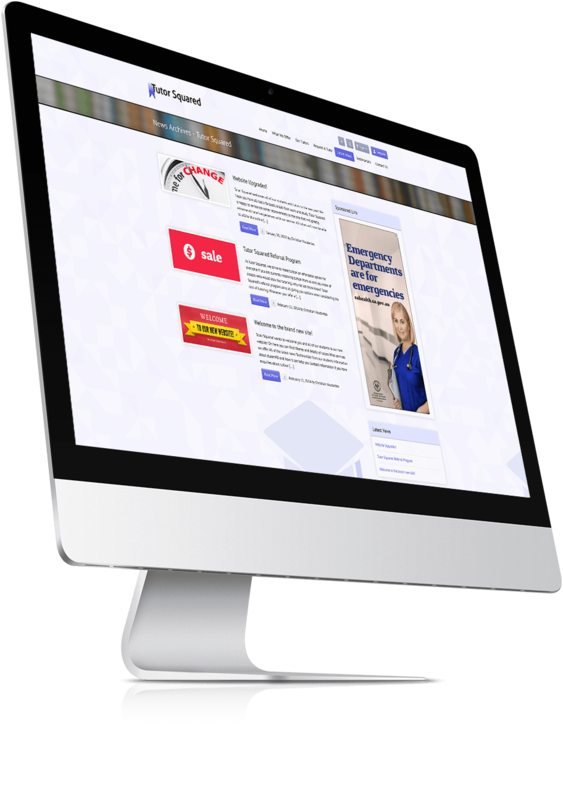 We provided general and technical advice regarding this development.